South Staffordshire College’s Equestrian Centre at Rodbaston is witnessing an exciting new development as it moves forward with expansion plans to meet increasing demand. Set in a 180 hectare country estate in rural Staffordshire, the Centre is one of the best educational equestrian centres in the UK and an excellent place for students to gain real-life equine experience. A comprehensive expansion programme is already underway and the first phase is due for completion in Spring. These developments are set to place South Staffordshire College at the forefront of equine excellence for both facilities and student experience. Already a BHS approved centre, South Staffordshire College offers courses for Stage 1 and 2 exams as well as the Horse Owners Certificate and The Riding and Road Safety training and exams. Looking forward, there will be RDA riding lessons, along with adult Summer residential camps offering tuition in dressage, show jumping and cross country. 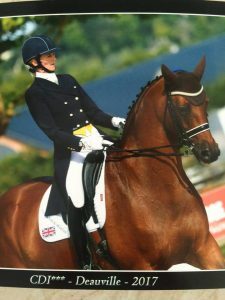 For the serious competitor there is a full competition programme available covering both affiliated and unaffiliated dressage, also British Show Jumping Association competitions and unaffiliated show jumping. The hugely popular Dressage to Music will be catered for with a series of clinics and there is also a Massage for Horses course. The Equestrian Centre is available for public and club use, with excellent facilities for hire including a 60m x 30m indoor arena, a 60m x 20m covered outdoor arena and a 40m x 20m outdoor arena. As part of the investment programme, two of the arenas have recently been resurfaced. The fully functional Show Centre has timing and PA equipment to deal with affiliated level shows and the indoor café is available at all events to meet hirers’ needs. The 200-seater viewing gallery is ideal for all types of events, clinics, training and competitions. One of the major developments taking place at the Rodbaston-based Equine Centre is a new Cross Country Schooling Course, due to open this Spring. The course will offer a variety of fences starting from 70cm to suit riders of all abilities, from learners to the more proficient. The Cross Country Schooling Course will also be available for hire by members of the public as well as local pony clubs and riding clubs and for small competitions, whilst Gallows End, a 30 acre events field, will cater for larger events such as Equine Championships, One Day Events, Hunter Trials, Pony Club and Riding Club events. The new Schooling area is being built to include ditches, a variety of fences and an improved water feature. This area can be used as one course or be split into two separate sections to cater for various requirements, rallies and training clinics. The Centre has also expanded its DIY livery provision, providing stabling and individual paddocks for local riders, who also enjoy the use of the schools and arenas, the horse walker, wash box and drying room, hacking on the estate as well as discounts on internal shows as part of their package. To showcase the upgraded facilities the Equine Centre will have its own dedicated website. Visitors will be able to view course information, facilities, clinics and shows, results and news.